Who says that laws can only be made by legislators? More and more citizens, especially in western states, are assuming the mantel of “citizen-lawmaker” and using the process of ballot initiatives to get citizen-approved measures into law. And the process works well…until an approved ballot initiative locks horns with a state legislature that does not approve of it. Then you have a showdown, with the state legislators having the power (in many states) to overturn or alter a ballot measure with little or no input from their constituents. 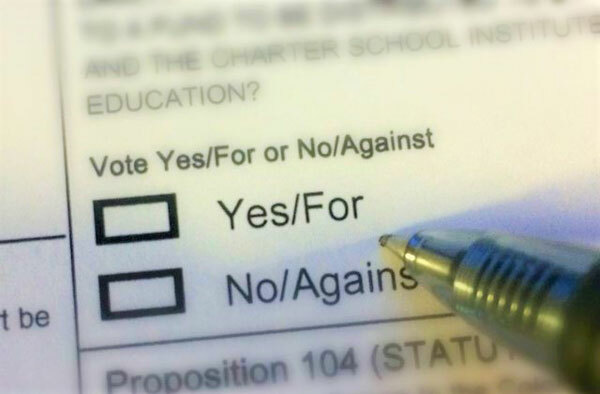 What’s the point of passing a ballot initiative if your legislature subsequently reverses it? Idaho is a good example. In November 2018, the state passed a ballot initiative with a 61 percent majority to accept federal funds for Medicaid expansion. This would enable close to 91,000 low-income residents to access Medicaid services in the state. But in the months since November, Idaho’s legislators have tried many ways to kill the healthcare benefits this ballot initiative sought. At the time of this writing, some were trying to pass legislation requiring Medicaid beneficiaries to prove they are working or in school to receive benefits. This work requirement was declared unconstitutional by the federal courts this week, as reported by NPQ. The state’s Republican governor, Brad Little, seemed more tuned in to the desires of his constituents. He was refusing to let the legislature adjourn without funding the expansion. But Idaho does not stand alone. Beginning in the early 1900s, states started this citizen-led, state ballot process with the issue of Prohibition. While most robust in the west, ballot initiatives covered everything from women’s suffrage to the eight-hour workday. More than half of the ballot initiatives today come from just six states: California, Arizona, Colorado, North Dakota, Oregon, and Washington. In response, those legislators are frequently defying voters’ wishes. In 2017, for example, South Dakota repealed voter-approved restrictions on campaign finance and lobbying. Sheriffs in 20 Washington counties are refusing to enforce gun regulations that voters overwhelmingly passed, calling them unconstitutional. And state legislators in Utah recently overhauled both medical marijuana and Medicaid expansion bills drafted and supported by voters. As a result, 60,000 Utahans who would have received Medicaid under the citizen-led initiative are still without coverage. Only two states—California and Arizona—have laws that prohibit the legislature from modifying or overturning a voter-approved ballot measure. Some of these modifications can be improvements and can strengthen a measure or make it easier to enforce. But not always as we have seen in the efforts in Idaho. But now some states legislatures are trying to make citizen-led ballot efforts harder to do. Idaho would like to see citizens have to collect twice as many voter signatures in much less time than currently allowed. This, according to the bill’s sponsor is so voters will not be burdened with too many initiatives. Other states are looking at Idaho as a role model.